put it on a napkin! : who doesn't like a brat with dirty hair? who doesn't like a brat with dirty hair? 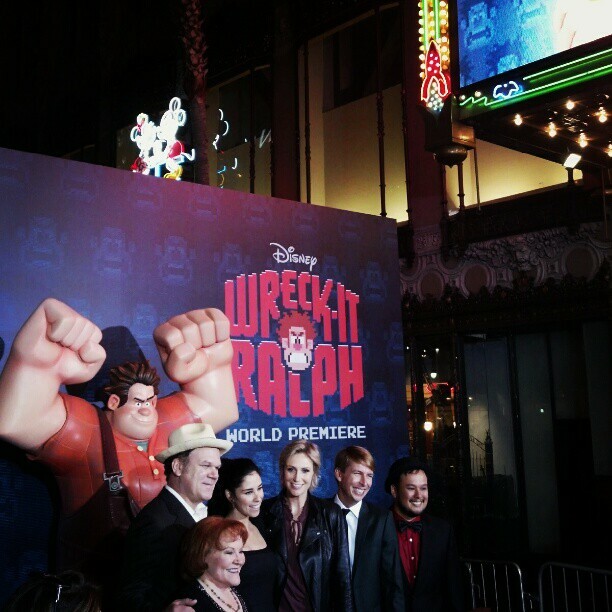 a few weeks ago i got to cover the wreck-it ralph junket at the historic beverly hills hotel. i scored individual interviews with director rich moore, screenwriter phil johnson, producer clark spencer and 30 rock's jack mcbrayer (aka fix-it felix jr!). on top of that, i sat in on roundtables with john c. reilly, jane lynch and sarah silverman (who hilariously told me i should dress up as mulan for halloween cause i'm asian). i also worked the red carpet premiere on monday. in my humble opinion, wreck-it ralph is the best animated movie of the year and to learn about its journey to the big screen from the dedicated filmmakers and charming cast was an unparalleled treat. to say working press for a disney movie is a pleasure is a severe understatement!